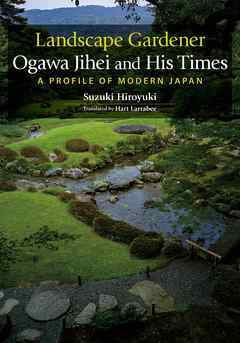 Landscape Gardener Ogawa Jihei and His Times　A Profile of Modern Japan- 漫画・無料試し読みなら、電子書籍ストア BookLive! Securing the generous support of the politicians and industrialists who propelled Japan’s modernization, Ogawa Jihei VII created many outstanding gardens at the end of the nineteenth and the first few decades of the twentieth century. Expressing a Japanese aesthetic even while incorporating modern techniques, his methodology reveals the nature of modernization as Japan experienced it. With a keen eye for architecture, author Suzuki Hiroyuki takes a long-awaited look at modernization and the modern garden. Awarded the Architectural Institute of Japan’s Annual Prize for Publication in 2014.